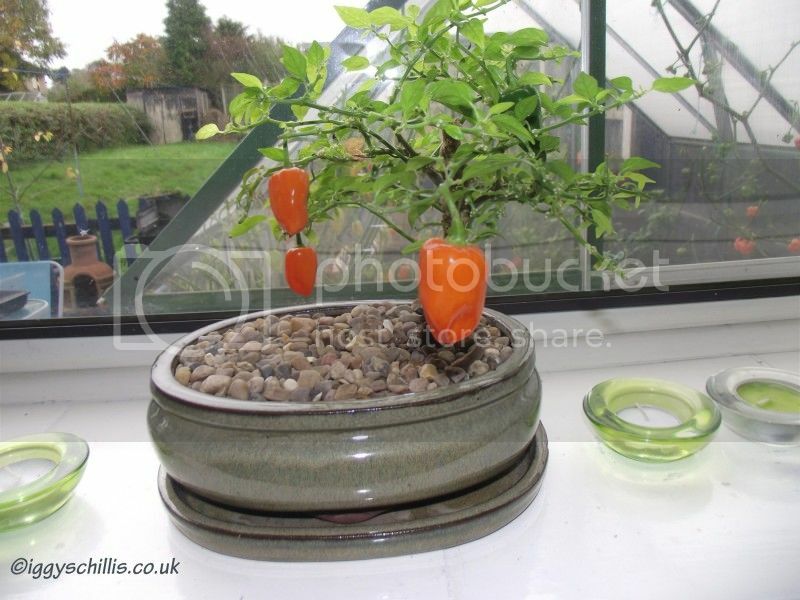 One topic that has cropped up quite a few times in the last couple of weeks, in conversation and on the Firefoods forum, is what is the best growing media for chilli plants ? There are loads of different types, from specialist composts to clay balls….peat free, coir etc etc. Now some people will have their favourites, which have produced good results for them and will stick with that type, and I’m talking about the hobbyist grower now, not the commercial grower, who will have different needs and costs to take into account. However, for someone who is just starting in the hobby, it can be quite daunting deciding which one is best for them, and they will get different answers from different growers. In the past I have used loads of different types, and had excellent & poor results,and if you are only growing a few plants, then I would suggest using the best compost you can afford, but when your growing 100+ plants it can work out very expensive to use a high grade compost. For that reason, this year I am using a cheap Multi Purpose Compost ( MPC ), which I’ve used a lot in the past, and will rely on feeding and Nutrition to get the best from my plants. This brings us onto another topic for debate……..what is the best thing to feed your plants ???? …. Do an internet search and you will find dozens of specialist feeds created for chilli plants, and some are really good. Again, people will have their own favourites and opinion, and yes…I’ve used some of these specialist feeds and had varying results, but this year along with MPC I will be going back to using good old TOMORITE. It may lack a few trace ingredients compared to some available chilli feeds, but it’s cheap and goes a long way, and can give excellent results. Some growers advise using it at half strength and others use it full strength, I use it half strength in the early stages of the plant’s growth and then at full strength when the plants are flowering and podding. I’m with you on this. Feeding chillies can get slightly expensive. I have used Chilli Focus in the past and although I was happy with the results I was going through it quite quickly. I’m opting for seaweed this yr just to see what effect that has on the plants. I believe Tomorite has seaweed in it anyway so we’ll have to compare the results!